Paul O’Grady concentrates his practice in general litigation, civil rights litigation, including Section 1983 claims, and appeals. Mr. O’Grady has practiced in a broad spectrum of legal matters ranging from defense of premises liability, automobile liability, general tort actions, civil rights claims, and defending class action claims. He has counseled employers on promulgating and revising internal policies and procedures, drafting employment agreements and severance agreements, conducting investigations of internal claims of work place harassment, and implementing progressive discipline and other adverse job actions. Mr. O’Grady’s practice also includes the negotiation and administration of collective bargaining agreements and the implementation of state and federal labor, employment and discrimination laws on behalf of public and private sector employers. 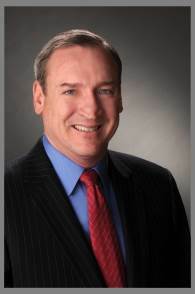 Mr. O’Grady is currently a Special State’s Attorney in both Cook and Will Counties and a Special Attorney General for the Illinois Attorney General’s Office defending Cook and Will Counties and the State of Illinois in various litigated claims in both State and Federal District Court throughout Illinois. Also, Mr. O’Grady has been selected as panel counsel for two large insurance pools to protect their insured interests. Mr. O’Grady has served as a Special Corporation Counsel for the City of Chicago. Mr. O’Grady is also certified by the Illinois Law Enforcement Training and Standards Board as an instructional expert in: criminal law; criminal procedure; legal liability; use of force; arrest procedures; law for correctional officers; Illinois correctional jail standards; and detainee rights and privileges. Mr. O’Grady’s practice has been highlighted in the February 2011 issue of Chicago Lawyer Magazine.